Troy : This epic swords-and-sandals film released in 2004, starring a hunky Brad Pitt as Achilles along with Diane Kruger (Helen) and Orlando Bloom (Paris), is loosely based on Homer's "Iliad," which portrays the legendary battle between the ancient kingdoms of Troy and Sparta (circa 1250 BC). But in the movie, the landing of the ships on the day of the great battle did not take place on a landmass in the Aegean Sea. 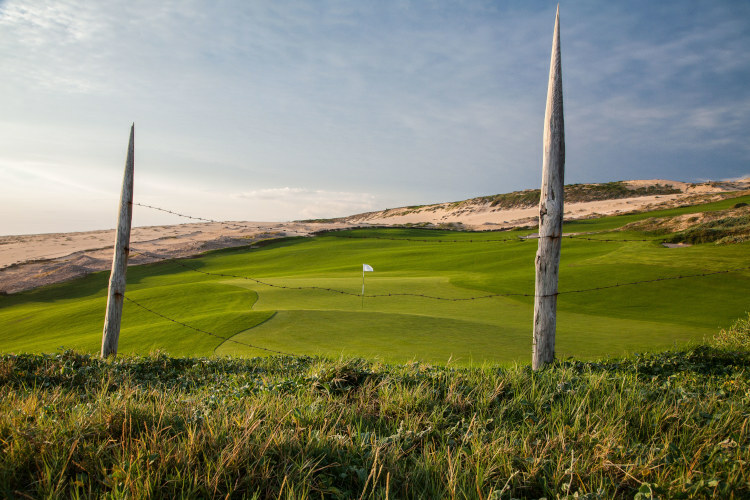 It took place on the long, deserted beach that stretches below the elongated green at the par-5 12th hole at Quivira Golf Club. Want proof? Vestiges of the sharpened wooden pole fence seen in the movie still delineate the cliff stretching from the 12th green to the 13th tee. 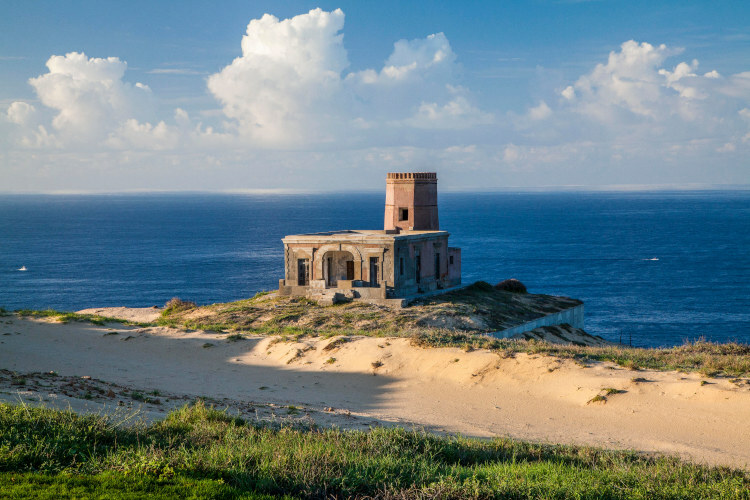 Lighthouses : As Quivira golfers know, the cart path leading to the 7th tee swings past a dramatic stretch of seaside cliffs to an equally memorable site, the region’s original lighthouse. Situated at kilometer zero at true Land’s End—the exact place where the Sea of Cortez meets the Pacific Ocean—the castle-like fortress, known as Faro Viejo, dates to 1905. It is the oldest standing structure in Cabo San Lucas. Perched more than 200 feet above the turbulent surf, this National Historic Monument, no longer in use, is known for its octagonal stone tower. For more than a century, its sturdy construction has withstood every hurricane that’s hit Los Cabos. Its successor, a red-and-white-striped tower that dates to 1959 and sits high above the 14th hole, peers down on the course from its rocky mountain perch nearly 700 feet above sea level. At night, Cabo’s newer lighthouse emits a white flash every few seconds to guide ship traffic. 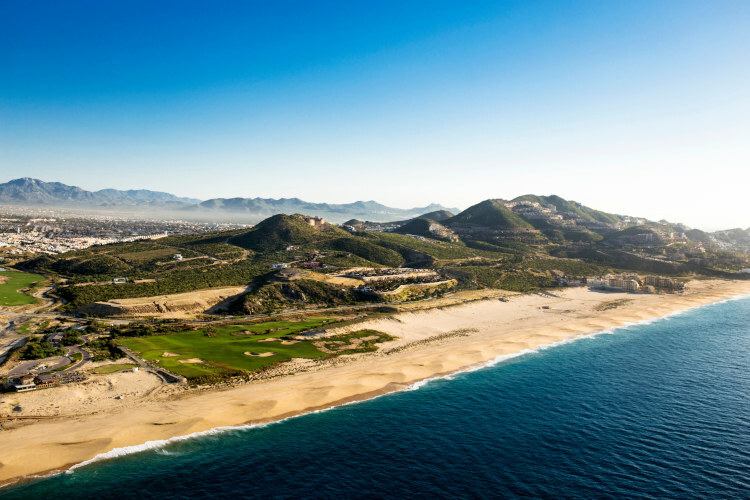 Paraiso Escondido : Translated as “hidden paradise,” Paraiso Escondido refers to the discreet valley sheltered by an imposing mountain that effectively hides from view the 1,850-acre resort community at Quivira Los Cabos and its 2.5-mile stretch of pristine ocean beach. While located only 10 minutes from downtown Cabo San Lucas, the valley’s unique geography ensures that Quivira will always be a tranquil hideaway far removed from the downtown area’s sprawling marina and non-stop party scene. Identified by Pueblo Bonito Resorts founder Ernesto Coppel as a “hidden paradise,” this sequestered valley, which stairsteps down to the sea along a serpentine road carved into a steep mountain ridge, has more than fulfilled its promise as the ideal setting for a world-class getaway.